Quick, Annie, Give Me A Catchy Line! : A Story Of Samuel F.B. 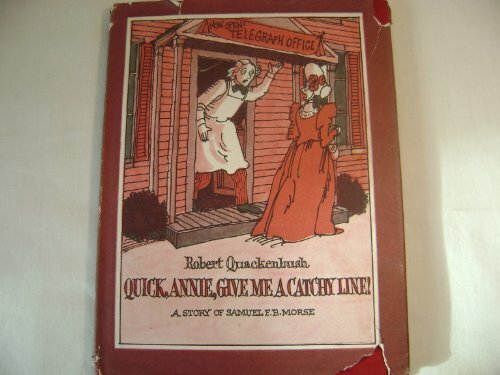 Morse was written by Robert M. Quackenbush. Quick, Annie, Give Me A Catchy Line! : A Story Of Samuel F.B. Morse was published by Prentice Hall.